Most of us cannot imagine our daily lives without using all kinds of cleaning products, be that shampoos and conditioners or domestic cleaners. As we’re already discussed in part 1 of our sulfates in shampoos article, we have already figured out that basic ingredients used in all of them and which create the foaming cleaning effect are a surfactant. The only differences between a liquid for cleaning your car and your own shampoo is the amount of perfume added to it and mildness of surfactants. Many people wash their hair every day without thinking about the consequences of such frequent contact with different chemicals which shampoos contain. Sometimes shampoo gets in our eye or even mouth, not mentioning breathing in the vapors. How harmful can this be and what can be done? Would you use car cleaner on your hair? 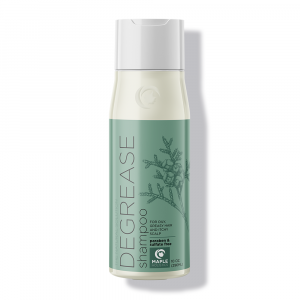 Shampoo’s main function is to cleanse our hair from excessive fat and dirt particles of various origins. However, while doing this job it harms our hair at the same time. Have you ever felt that after using a certain shampoo once or using the same shampoo for a long time your hair becomes dry both visually (fizzy) and how it feels to the touch. Sulfates, which are the main surfactants in shampoo, are able to strip the hair of natural essential oils. Use of such harsh detergents may cause both short-term and long-term damage, causing your hair to look dry and unhealthy. Using SLS containing shampoo is especially prohibited to people who have gone through any kinds of hair treatments like lamination, coloring or any other types of procedures. Treated hair usually has damaged or “opened” follicles and absorbs pretty much everything that is applied to it reacting by showing split ends, becoming frizzy or fuzzy and tangled up. Sulfates can irritate the skin. All of us know that we should be careful about what we apply to our skin and what effect it does when absorbing. Well, not many of us think this way when we wash our hair. Amphoteric and anionic surfactants have a property to “stick” to the oil and remove it, however, it doesn’t always happen like this. If surfactant’s molecules did not cling with the oil they stay on the surface, which in this case is your skin, and cannot be washed off. Where do they go? These molecules are small enough to penetrate into the skin and it is exactly what happens. Surfactants have a potential to become irritants to your skin. In a short-term perspective, they may cause some itching and minor irritations. It really varies from person to person. However, in a long-term perspective, such use might grow in developing severe allergic reactions. If you are one of those people who have a sensitive scalp (60% of women and 40% of men have scalp sensitivity problem) think twice before buying your favorite shampoo the next time. In most of the cases shampoo is the reason for sensitivity for many people. Due to their properties discussed above surfactants can wash away the scalp’s acid mantle, which is meant to protect your skin naturally. This way your skin becomes dry and irritated. When the natural protective barrier is being disrupted the skin cells of your scalp become inflamed, may develop flakes, redness or permeability, which creates better conditions for active penetration of different chemicals. And it is not only the scalp we are talking about here. Just think about it, when you wash off the particles of dirt and oil from your hair and shampoo, which trapped these particles is being washed off, it comes in contact with your face penetrating into pores together with everything that was washed off your hair. This may cause white heads of blackheads on your face. If you love your shampoo and are not thinking of looking for alternatives, then you should at least mind the contact with your eyes, especially when talking about children. Because surfactants are designed to degrade the surface tension of liquids for them to spread easily, when coming into contact with eyes, they dehydrate the corneas and hurt the shell of your eye. This may cause anything from minor irritation to far heavier consequences like corneas singes and eyesight loss. Health or beauty? Have both with a sulfate-free shampoo. According to the report of the International toxicology association, SLS and SLES containing shampoos can be toxic when used excessively and not according to the directions. SLS itself is not capable of causing cancer or any other serious deathly diseases, however, when combined with other chemicals, surfactants crate toxins capable of causing cancer, lung and kidney damage. Note, that 90% of personal care products contain this dangerous element. According to various researchers, traces of such a dangerous chemical as 1,4-dioxane have been found in some SLES containing products. 1,4-dioxane is considered to be a probable human carcinogen and an irritant. Of course, in order to get a certain reaction to it one would need to spend hours per day using shampoo or soaps all over again, however, because most personal care products contain elements meant to moisturize, strengthen or add shine they also increase the permeability, which means that in case there are any traces of 1,4-dioxane in your shampoo, they will definitely get under your skin. 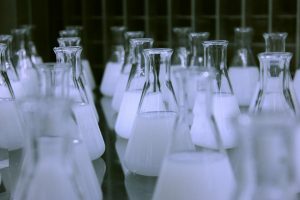 The US Food and Drug Association has been issuing warnings about monitoring the production process closely at this level and encourages manufacturers to remove 1,4-dioxane from their formulas, however, this is still not required by the law. One of the reasons it is like that because despite numerous research and studies the real danger of using surfactants in manufacturing personal care products for humans has never been proved. One of the reasons for such information gaps might be very simple and sad at the same time – money. Adding SLS and SLES to shampoos, conditioners and liquid soaps save a lot of money and effort to big monopolies, which flooded shelves with their products. In their race after your money and loyalty, they are willing to hide any truth. Now that people become more and more aware and informed about the products they use it is up to customers to decide, whether they consider such negligence to be dangerous to their health or not. Unfortunately, we cannot avoid using shampoos and what should our choice be: health or beauty? Well, it can be both, but first, forget about all the advertisement you see on TV or in magazines. Models waving their shiny and silky hair all around have spent hours with a hairdresser before shooting that ad, moreover, the image was edited later on by professionals, who added color and shine to it. Real hair cannot be like that. What it can be is healthy and well dressed. 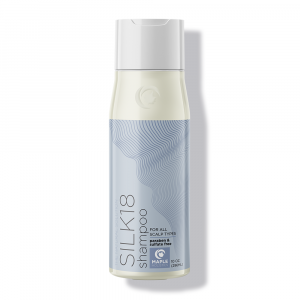 The economy of competition has given consumers a big choice of products, among them are sulfate-free shampoos as well. I probably have seen a number of shampoo bottles on the shelves of your favorite supermarket, that say “Sulfate-free”. Did this label ever make you wonder why a shampoo can’t be just a shampoo but has to be without this mysterious element? Without any doubts, this article gave you enough reason to question the quality of products you and your family are using. In Maple Holistics our main concern in the health component to the beauty. First of all, using sulfate-free shampoo reduces the risk of scalp irritation or inflammation. You should not suffer from itching and dryness because of a shampoo. To look and be healthy our hair tends to retain a lot of moisture and essential oils, however, as it was already mentioned above, sulfates tend to dehydrate the surfaces they interact with, leaving the hair dry and flaky. 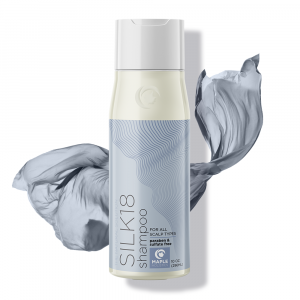 Unlike SLS containing shampoo, sulfate-free hair care products help to clean your hair without extra loss of moisture, moreover, your hair will never lose its ability to retain moisture after being affected by the heat of any chemical treatments. 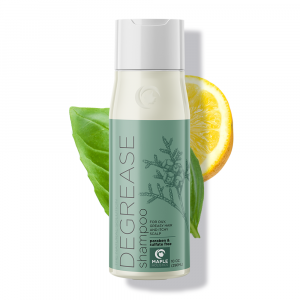 Sulfate-free shampoos don’t have a property of “catching” the oil, therefore they help to gently clean your hair rather than strip the much-needed oil from it. If you dye your hair, sulfate-free shampoo should be your first choice because just like regular shampoos strip the hair of oils, they also remove the hair-dye pigment. The goal of many therapeutic haircare products is to permeate the scalp to treat an underlying condition. These products, therefore, contain ingredients which increase permeability to deliver the treatment or require a longer duration of time to absorb before rinsing. 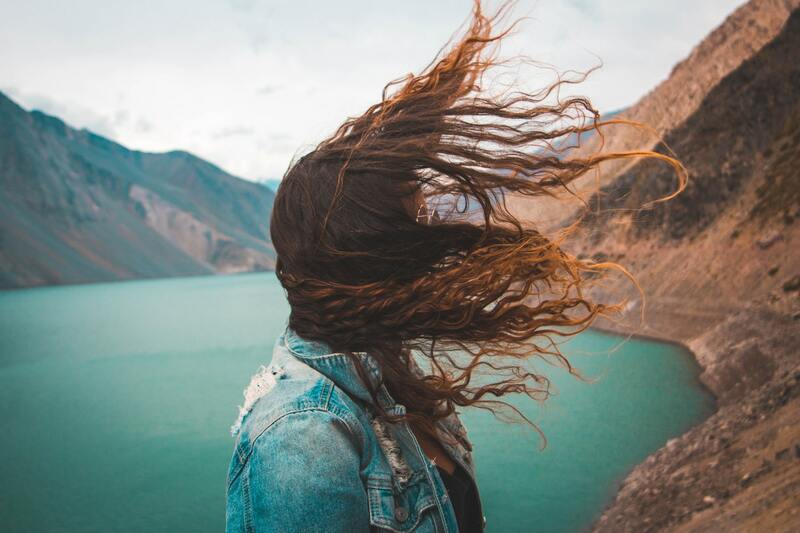 The inclusion of sulfates in such products can pose a serious health risk, due to the fact that potentially toxic elements found in ingredients classified as sulfates can have a more dangerous effect if penetrated deeper or absorbed into the scalp. The regulation of sulfates in hair care products are primarily intended for products which are rinsed off right away (with no absorption time period) and hair care products which do not function as treatments (with increased permeability functions). Therapeutic hair care products contain ingredients which are intended to alleviate symptoms, and the inclusion of sulfates within the formula can simultaneously aggravate the symptoms. For example, a therapeutic hair care product which treats dry scalp and contains sulfates results in a “conflict of interest” between the ingredients (ingredients which treat dry scalp vs. sulfates which cause it), leaving the chances of success depends on how sensitive the user is to sulfates. If the user has a scalp or hair type more sensitive to sulfates, the sulfates will aggravate the condition and leave the user worse off than before the treatment began. This can apply to any hair care treatment which intends on counteracting conditions which can be aggravated by exposure to sulfates (See Section II. Negative Effects). Due to their cost-effectiveness, products which contain sulfates are practical for those with healthy, untreated hair. Individuals suffering from a condition of any kind or who apply any treatment to their hair should remain cautious when choosing a hair care product. Saving a few dollars on a hair care product which contains sulfates can end up costing one more in money, their health and comfortable lifestyle. 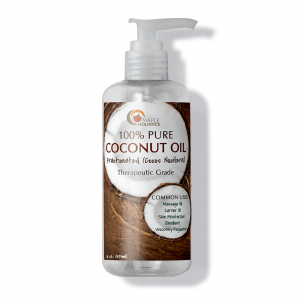 Cocamidopropyl Betaine is a very mild surfactant derived from coconut oil. 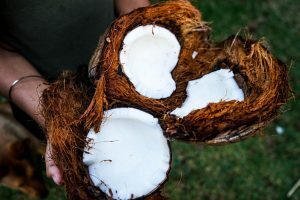 Cocamidopropyl Betaine – a very mild surfactant derived from coconut oil. This ingredient is often used in cosmetics for children (even for newborns) and expensive elite cosmetic products. The secret of this ingredient is very simple, it is softer than other surfactants and can be even used to manufacture eye makeup remover milk. Cocamidopropyl Betaine does not cause irritation and is considered one of the mildest surfactants out there. This ingredient is often used for manufacturing the trendy bio cosmetics. When used in shampoo formulas it shows conditioning and antistatic properties. Cocamidopropyl Betaine works great in combination with other surfactants neutralizing their harsh effect. It is not toxic and can act as a thickener when combined with SLES. It is a very popular component in foam-washing cosmetic products and is characterized by a remarkable ability to remove fat from the scalp and hair roots without damaging the hair structure. Sodium Cocoyl Isethionate – another surfactant alternative to sulfate. It imparts lather into shampoo and server perfectly as a cleansing agent. It is a sodium salt ester or a fatty acid made from coconut oil. Due to its molecular structure, it finds a milder way to help water mix with oil and dirt and rinses it off. It is also widely used in soaps and other cosmetic products, creating thick foam and a wet effect. Sodium Cocoyl Isethionate doesn’t dry skin out and has a gentle cleansing effect. Is allowed in a 50% concentration in rinse-off products and 17% for leave-on products. Sodium Lauroamphoacetate – is a mild surfactant with good detergency and foaming properties. 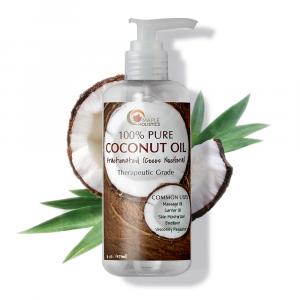 It is widely used in manufacturing cleansers for sensitive skin and is made from coconut and vegetable oils. Thanks to these unique ingredients it creates luxurious foam and softly ensures cleanness of your hair. Sodium Lauroamphoacetate is also safe for color-treated hair. All Maple Holistics haircare products perfectly combine cleansing and enriching ingredients that give hair softness, shine and make it easier to brush through and comb. After using sulfate-free shampoo your hair will thank you by becoming clean and shiny, and by acquiring a delightful aroma coming from natural oils. High-quality shampoo is one of the best gifts you could grant your hair. Of course, finding your perfect hair care product is always a matter of trial and error. All of us have different hair types, however, the benefits of using sulfate-free products are obvious. Why would you say no to fresh, clean, shiny, and freely flowing hair. ?